The first time I visited Tokyo Disney Sea in 2015, I didn't really take that many photos of its futuristic Port Discovery. Poor weather the first day mean there wasn't much photogenic to photograph. And a focus on other areas during the good weather day meant that I just didn't spend much time in Port Discovery (especially since Aquatopia was closed). I made sure to correct this the following year, especially since the weather was pretty magnificent. And this golden hour photo from Port Discovery is one of the atmospheric shots that that really transport me back to that lovely trip and into the beautiful ambiance of the park. It's not of anything in particular, but it's evocative of the mood and energy of the area. And it reminds me of the loveliness of the Sea of Dreams. 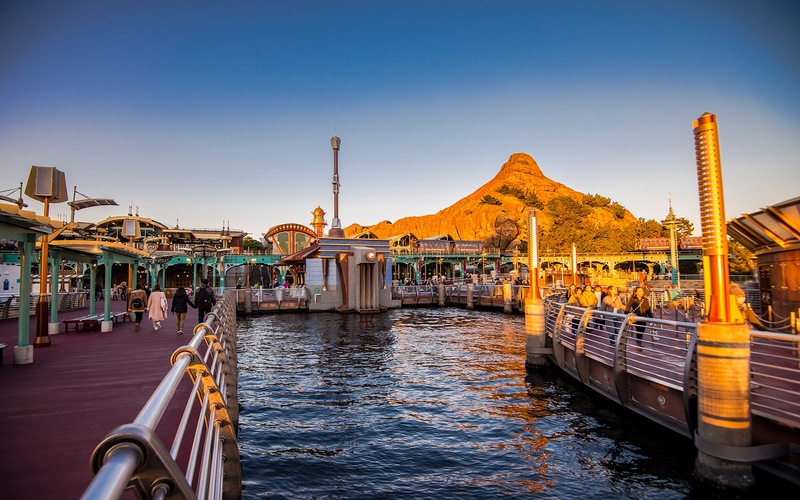 Golden hour on Mount Prometheus and Port Discovery.